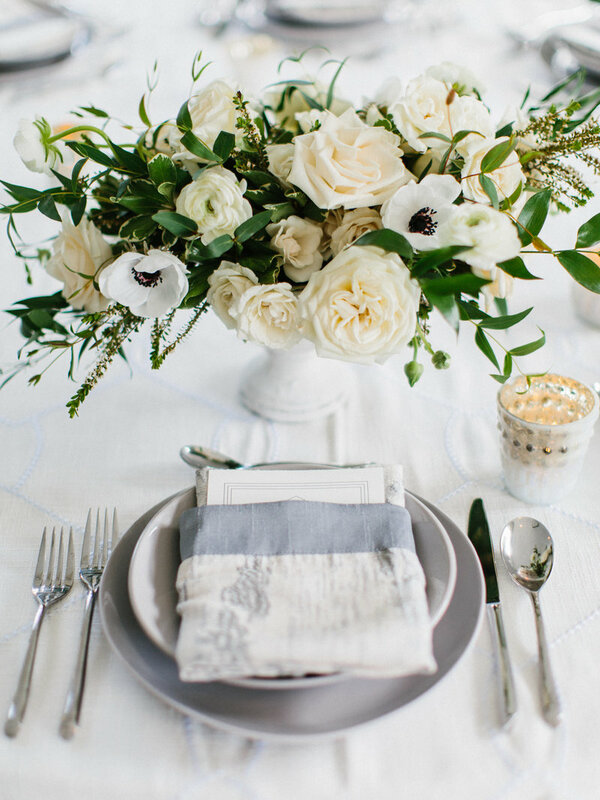 At Seasonal Stems, we provide stylish floral designs for practical brides who want to have beautiful wedding flowers without the high price tag. We create floral collections in current styles and color palettes, working with seasonal blooms in order to provide you with lush, cost effective arrangements that will fit seamlessly into your wedding design. We’re committed to providing you with an easy, uncomplicated floral experience, allowing you to spend less time on the nitty gritty details, so that you can focus on throwing a celebration that your guests will never forget! YOU SHOULDN'T HAVE TO CHOOSE BETWEEN BUDGET & STYLE. And, don't worry if you're not 100% sure about how many centerpieces or boutonnieres you need yet. We can make changes to the quantities up until 3 weeks prior to your wedding! Take a look at our ! Each one tells a different story, from the color palette to the shapes and movements of the arrangements. Determine how many arrangements you need. Each Collection is packaged to include a certain number of bridesmaids bouquets, boutonnieres, and centerpieces. Need more pieces than the package includes? It's easy to add on additional items! Available add-ons and their pricing is listed on each Collection page. If you're having trouble figuring out how many arrangements you need, just shoot us an email. We're happy to help you figure out the logistics, or make minor tweaks to the package quantities. If you're having trouble determining how many arrangements you need, just shoot us an email. We're happy to help you figure out the logistics, or make minor tweaks to the package quantities. Reach out and say hello! You can get in touch with us by filling out the form on our . We'll check our calendar to make sure that we're available on your date, and send over a questionnaire to collect some more detailed information from you. It's that easy! Three quick steps, and you can check wedding flowers off of that long to-do list! 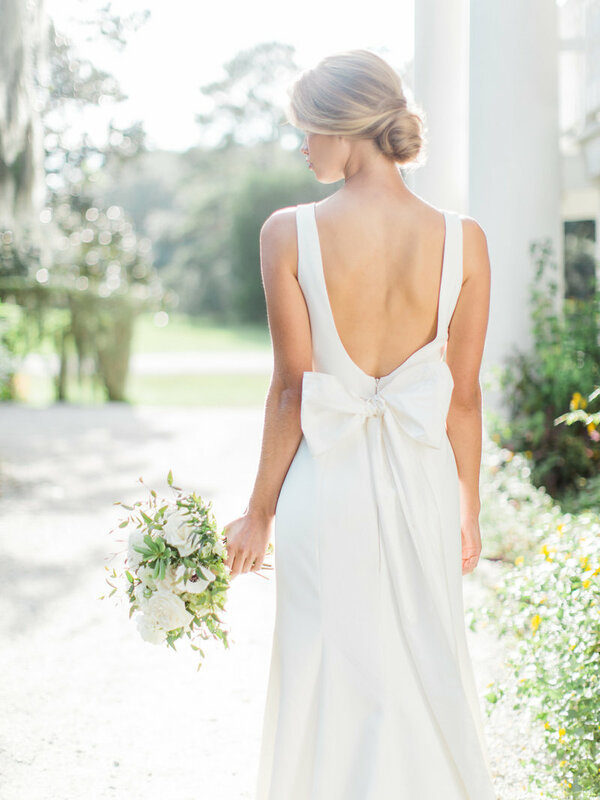 On your wedding day, we'll work together to schedule a time for a trusted friend or family member to pick up your flowers from our home studio in West Ashley. Prefer to have your flowers delivered? We're happy to help! Delivery is available within the greater Charleston area, and fees will be determined by the number of drop off locations requested. So, what are you waiting for? We can't wait to find out which collection is going to be the perfect complement to the incredible wedding that you're planning! Tell us about your wedding, and check flowers off of your to-do list!